As a divorcee, your tax deductions for dependents require knowing guidelines. Divorced parents cannot split the tax deduction for a child. 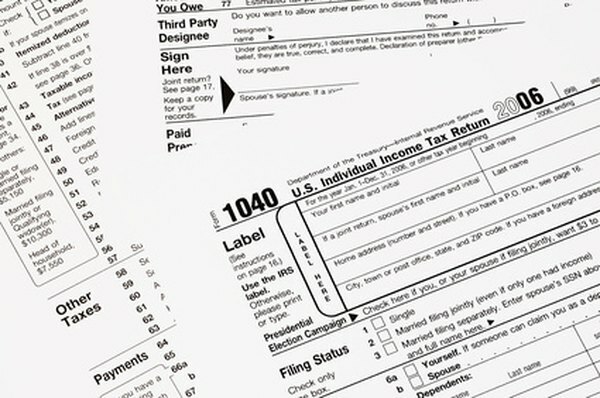 The Internal Revenue Service published guidelines for who can claim a dependent child, and those guidelines do offer some flexibility in who can claim the deductions. However, the custodial parent is the one who can claim the deduction in most cases. If you are a divorced parent with joint custody of a child, learn all of the options for tax deductions. The parent who has the child living with her claims the tax deduction in most cases. If parents share residential custody, the residence where the child spends the most time determines who claims the deduction. You must actually count the nights the child spends at each parent’s home, even if the parent is not home at the same time. You must also count nights spent with a parent at a location other than the home. Even divorced parents who have the child an equal number of nights cannot split the deduction. The parent with the highest adjusted gross income can claim the deduction. The IRS measures adjusted gross income by tax returns, so if you question who has the highest figure, you must refer to your most recent tax return for the answer. The parent who has legal custody of a child may claim the deduction for that child. This rule also applies to parents who have joint custody, but one of them has residential custody. The Internal Revenue Service accepts only those custodial arrangements that are documented by court papers or a divorce agreement. The parent with the right to claim a dependent child can waive that right by filling out Form 8332. This allows the other parent to claim the deduction. The dependent must not supply more than half of his own income, and he must have lived with either parent more than half the year. Divorced parents can establish which of them receives the right to claim the dependent child at the time of the divorce. A divorce decree will serve as documentation to support the tax claim. Though the parents cannot claim half a deduction for a dependent in any given year, they can agree to claim the deduction in designated years, thus effectively sharing the tax benefit equally. What Deductions Can My Child Use When I'm Claiming Him on My Taxes But He Works? Can Domestic Partners File Joint Taxes?